There is one soccer pitch at the College so competitive soccer is played at the Under 16 and Under 19 (senior) levels. 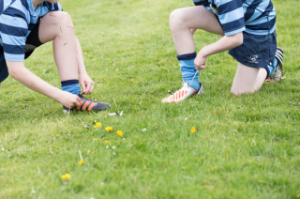 Students may also play soccer at lunchtime on the astro turf so long as they wear runners. The coaches are Mr Paul Hunt (TY) and Mr Robert Harvey (Senior).